As an organization that focuses on helping people reduce their risk and survive cancer, we’re getting a lot of questions about a major study released this week on mammograms. And if you’ve read about the study questioning the benefits of mammograms, there’s a good chance you’re confused. The Canadian study involving about 90,000 women ages 40-59 was published this week in the British Medical Journal. The study spanned 25 years and during that time about half the women received regular mammograms and annual breast exams; the other half only had the breast exams. The study found that whether the women received regular mammograms or not, a similar number of women died from breast cancer over the years. 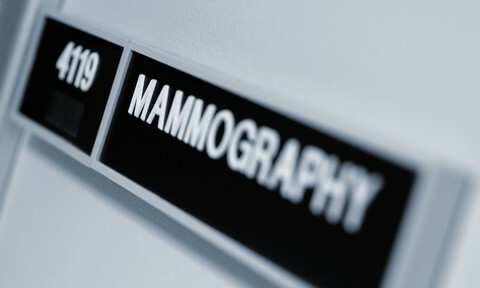 The value of regular mammogram screening has been controversial for awhile– five years ago the United States Preventive Service Task Force (USPSTF) changed its guidelines, recommending that regular mammogram screening begin at age 50 every two years rather than age 40 every year. As we wrote at that time, AICR’s recommendations relate to the prevention of cancer through diet, weight and physical activity; for screenings, like mammography, AICR’s materials rely on the National Cancer Institute recommendations. Your own decision about mammography is best made in consultation with your health care provider who can help you weigh the risks and benefits based on your history and personal risk factors. For more on the study and perspectives from other organizations, here’s a CNN article. 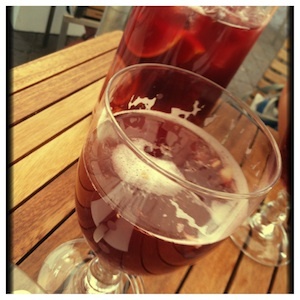 avoid alcoholic beverages or if you do drink, limit to 1 drink a day. AICR estimates that about 38% of breast cancer cases – about 90,000 every year – in the U.S. could be prevented by following those recommendations. Learn more about the research on reducing risk for breast and other cancers. How are you ringing in the New Year – with a few friends at home or out on Times Square? Whatever your plan, you want to celebrate and maybe drink a toast to the New Year. But maybe after weeks of holiday festivities, you’re not feeling like overdoing on food and drink. If you want to indulge in one glass of Champagne, that one midnight bubbly won’t break your calorie bank or exceed the healthy limit for alcohol. But if you party for several hours, those pre-midnight beverages can add up. With a little planning though, you can still stick with AICR’s recommendation to lower your cancer risk: limit your alcoholic drinks to no more than one drink per day for women, two for men. Look for the low or non-calorie drinks – grab choices like sparkling waters, sugar-free sodas and tea. 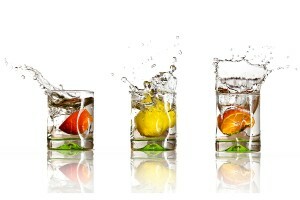 Or put a splash of wine or juice into a glass of sparkling or soda water for a light spritzer. And focus on dancing – you can stay active and not need to have a drink in your hand all night. You and your guests can have fun creating new combos and maybe hit on some ideas that will help you work toward a healthier weight for lower cancer risk and better overall health or just add color and flavor to your drinks. Please share your healthy creations with us and have a happy healthy New Year! See AICR’s Test Kitchen beverages section and a Sonja’s blog on infused waters for more healthy beverage ideas. Drinking a couple glasses of wine or any alcohol beverage every day may increase the risk of dying from cancer and shorten your life by almost two decades, suggests a new study. The study was published yesterday in the online issue of the American Journal of Public Health. For the study, researchers looked at recent U.S. data on cancer mortality and two large surveys on alcohol consumption. They used analysis of the literature linking alcohol consumption to cancer risk to determine risk of mortality. The scientists calculated the average number of standard alcoholic drinks (14 grams of alcohol) consumed per day. The investigators focused their analysis on the seven cancers linked to alcohol consumption: oral cavity and pharynx, larynx, esophagus, liver, colorectum, and female breast cancer.